Scott Sheeler’s re-written Datsun Roadster Manual. 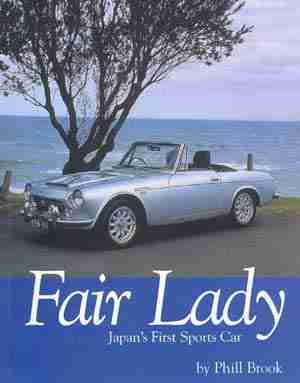 One of the most complete manuals written for the Datsun Roadster. A must have the the roadster enthusiast. Now available as a Kindle download as well as a hard copy purchase from Amazon. Click on “BOOK” to go to Brookland Books!This book is also available from several of the vendors. Phil put a lot of effort into this book and it shows! Click on book for more information! A complete photographic guide showing car care and detailing, rust prevention as well as body repair and painting – from minor dents to major structural damage. Covers most Weber carburetors ranging from the DGV series to the DCOE and IDF series. Part three covers the complete line of Stromberg CD carburetors from the 1960s to 1970s. Part four includes SU carburetors Type H, HD and HIF through 1988. Each of these European designed carburetors is illustrated with complete photo sequences and component explanation chapters. Also included is a Weber carburetor conversion chapter with detailed instructions for installing a kit onto a VW dual-port engine. This is an expert guide to building and modifying SU carburetors to suit high performance applications. It contains detailed information on: preparation; intake manifolds; single, twin and triple carb applications; altering needles; tuning sequences; rejetting; modifications for racing engines; and much more. 64 pages with 70 black and white photos and illustrations. Available from Victoria British, LTD.
Order Victoria British catalog here! All Rights Reserved.Reproduction of material presented here is strictly prohibited without written permission.